09/11/16 Boots and Vision Express make dubious claims about the dangers of blue light. As a health-led optician, our priority is to help people understand their eye health and to make sure our customers get the best possible care for their eyes, and that includes the use of the latest technology. There is a growing body of clinical evidence to support our position that exposure to some wavelengths of blue light may, over the long term, be harmful to the eye and these impacts are only just beginning to be understood. Our Protect Plus Blue Lenses reduce exposure to harmful blue light by up to 20% and should be considered, together with the effects of diet, smoking and family history on future eye health. The promotional materials relating to these lenses were approved by Trading Standards. We welcome the feedback on the visits that you made to some of our practices, and where we may not have given the correct advice, we will work with our teams so they can explain the benefits of Protect Plus Blue lenses more clearly. Any customers who would like to have their prescription reviewed should seek expert advice from one of our trusted and qualified optometrists and can contact their local practice, visit Boots.com or speak to our customer care team on 0345 125 3768. It is very important that customers have a regular eye test as this can identify problems that need treatment. We take the concerns you have raised very seriously, we take vision very seriously and want our customers to take their eye health seriously. Our key concern is that people should have regular eye exams, from which our highly trained teams can provide recommendations on product and solutions that are best suited to a customer’s individual needs. 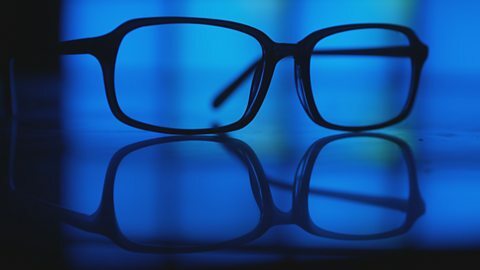 Vision Express has been offering a blue filter coating on lenses since 2013, when we introduced it as a potential option for customers who use computers, phones, tablets and have prolonged exposure to electronic screens. We have never claimed that blue light causes retinal damage and have, therefore, never claimed that our lenses prevent retinal damage. Our recommendation of blue filter lenses is based on their ability to improve contrast for better visual performance and comfort, with a filter which can help reduce eye strain. There is evidence and numerous research projects to support our view of the impact of blue light and we would like to draw particular attention to the following: https://www.thevisioncouncil.org/digital-eye-strain-report-2016 (University of Alabama, Birmingham School of Optometry). The manufacturers we use to produce our blue filter lenses have carried out user trials, the results of which support the claims that a blue light filter has beneficial effects for our customers, and we have objective evidence showing that blue light passing through is reduced by the lenses. We understand the importance of providing strong value for money which is why we ask our customers for guidance on their budget and why we have held the cost of our eye exam for the last three years. We also have worked hard to offer affordable high quality products for our customers including complete glasses for £39 and half price second pairs. If our optical experts believe a blue light filter may be suitable to an individual, they will offer it as part of a comprehensive consultation following an eye examination. To put this into context, we provide just under 2 million eye tests to customers each year at our 389 stores, and approximately 4% of customers choose to purchase these lenses. We stand by the modest claims that we make in respect of our blue filter lenses, in respect of their blue light filter attributes. However, for the avoidance of doubt we are going to provide more information about precisely what the blue light filter does, on our website, so that consumers have all of the information on the subject at their disposal. Vision Express offers a total satisfaction guarantee and we urge anyone with concerns to contact us directly. Our customer care team is available on 08000 382 177 or via the website https://www.visionexpress.com/customer-services/contact-us/ or via Twitter and Facebook.